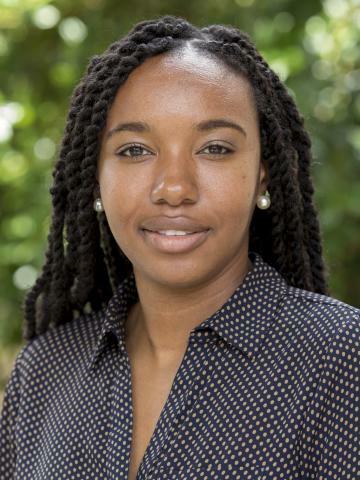 The UNC School of Government distributed an online survey to 112 Superior Court judges and 270 District Court judges on behalf of the North Carolina Office of Indigent Defense Services (IDS), a state agency that provides legal services to criminal defendants, certain civil respondents, and juveniles in delinquency proceedings who cannot afford to hire a lawyer. 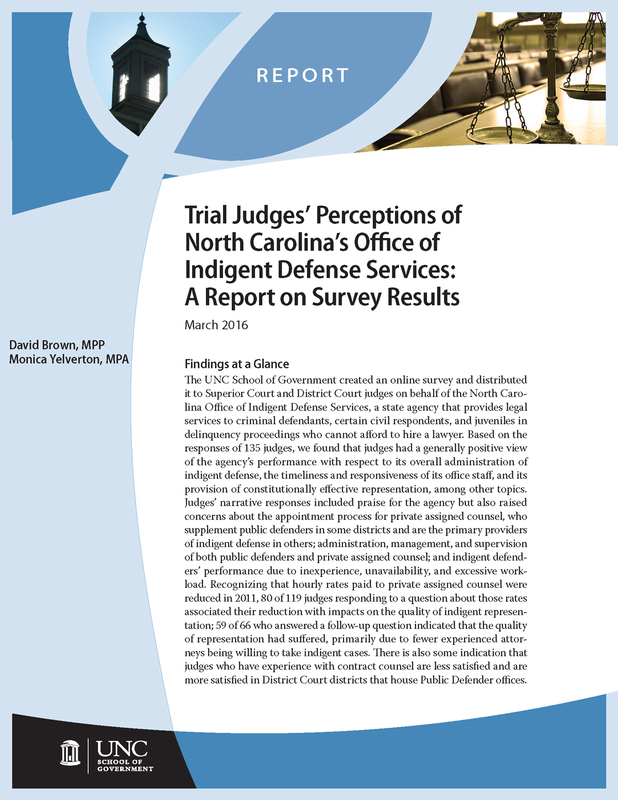 The survey focused on judges’ perceptions of IDS and indigent defense across a variety of topics and metrics such as those listed below. IDS administration of indigent representation in cases where the death penalty is a possible outcome and in those where it is not. private “contract counsel” with fixed-term agreements that pay a flat rate per month. Responsiveness of IDS management and staff. At the close of the survey period, the School received completed responses from 54 Superior Court judges and 81 District Court judges. IDS asked the School to independently analyze the results and issue a formal report. This publication fulfills that request and presents key results and findings from the survey.